CHERRY VALLEY – With what first started as a small shop on Route 193 in 2002, followed by its move to Dorset in 2004 through the late Richard T. Darby and Jeff Jewell, today serves as Cherry Valley Choppers, a full-time year-round custom motorcycle, ATV and snowmobile building/repair business located at 5604 Footville-Richmond Road in Cherry Valley Township. (From Oct. 5 edition). According to Mechanic Tiffany McCarthy, (who is the granddaughter of Richard T. Darby), aside from offering regular service options to the public, Owner Richard A. Darby and all the employees at Cherry Valley Choppers sets themselves apart in one other regard as well: their ongoing support in attending or hosting charity events for those in need within their local community. Of some of the McCarthy said they have supported or organized includes a run for five-year-old Blaze Roberts, who experienced severe burns to 75 percent of his body, were part of three fundraisers for Rick Ferrari, Don Wheatley and Dee Myers, attended Karma and Mary’s benefit dinner in July in Rome, plus have been recognized in supporting Guardians USA Vets Blue and White, as well as Iron Wings Mc NEO and Hospice of Western Reserve Pediatrics Division Dice Run. In June of 2019 McCarthy said they also hope to hold an additional dice run for Blaze Roberts within McGinty’s Irish Pub, the location said their business often utilizes for events, as the owner is really supportive and hospitable in offering them a space within their party room on their premises. In regards to how McCarthy first got involved in her family’s business she said stems from memories riding between her grandma and grandpa’s motorcycle when she was a child. Cherry Valley Choppers is open Monday through Friday 9 a.m. until 5 p.m., as well as is open on Saturdays from 9 a.m. until Noon. For further information on the charities Cherry Valley Choppers supports or to find out more about their business visit their Facebook page or please call (440) 858-9452. 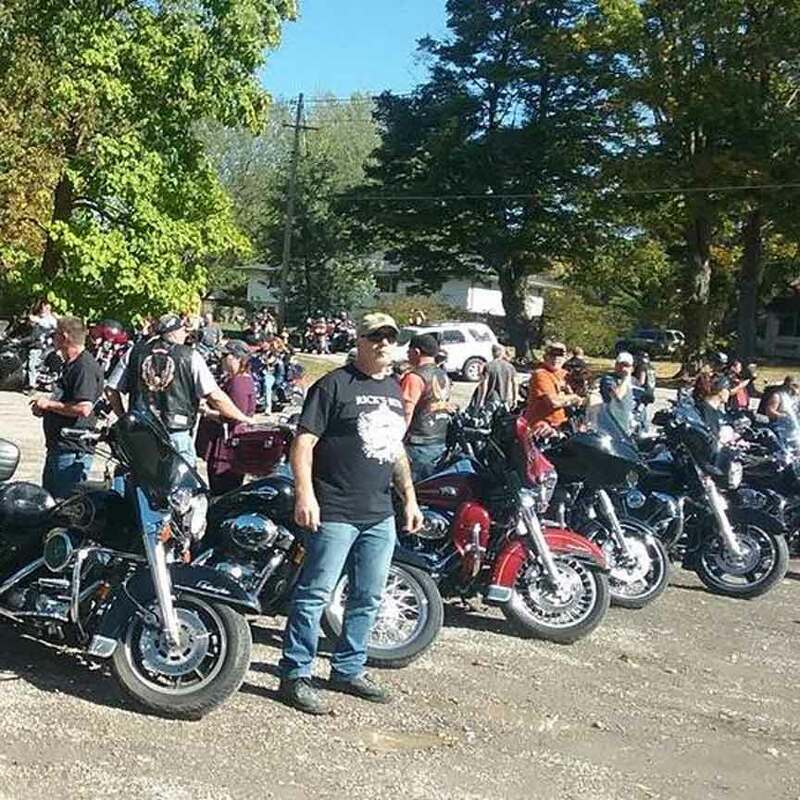 Pictured: Several motorcycle enthusiasts at a previous dice run charity event organized through local business, Cherry Valley Choppers.